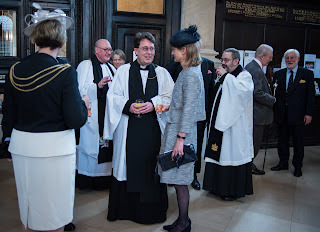 The Bishop of London, The Rt Revd Richard Chartres, will preach from the fine Wren Church of St Stephen, Walbrook in the City of London, to mark the 350th anniversary of the Great Fire. The service will be broadcast by BBC Radio 4 as Sunday Worship on 4th September 2016 at 8.10am. Early on Sunday, 2nd September 1666, a fire in a bakery near London Bridge became out of control and a strong wind fanned the flames westward. Not only the wooden houses, but warehouses, public buildings and churches were consumed in the fierce heat - molten lead running in the gutters, while stone was burnt to lime. The Great Fire destroyed over three quarters of the City. 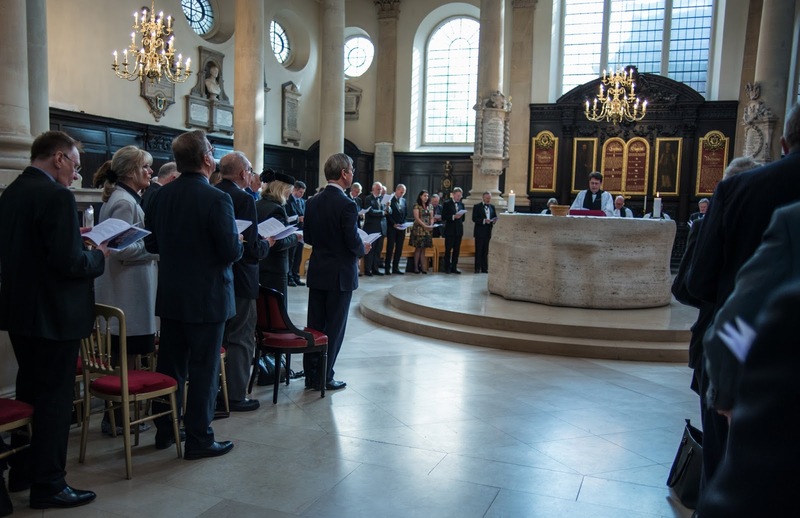 A large number of the City Churches were rebuilt, many designed by Sir Christopher Wren, including one of his most famous, St Stephen Walbrook. 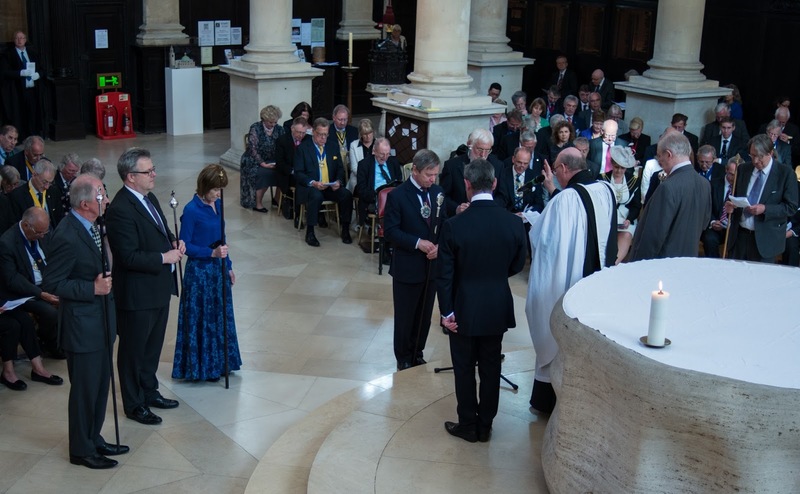 The ever increasing range and diversity of Christian worship in the City Churches today is celebrated in this act of worship, which includes contributions from some of the newer priests in the City, including Rev David Ingall from St Sepulchre's, and Revd Sally Muggeridge from St Stephen's. 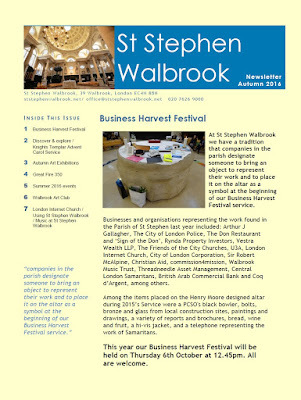 The service is led by the Priest-in-Charge of St Stephen Walbrook, Revd Jonathan Evens. All are welcome. 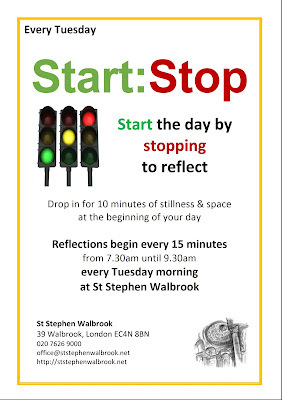 If you would like to attend please be seated in St Stephen's by 7.45am. Alternatively listen live on BBC Radio 4 at 8.10am, or on BBC Iplayer for the next 30 days. 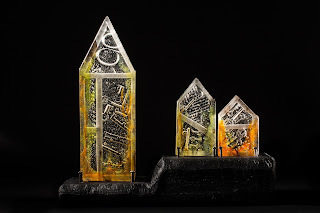 As part of commemorations to mark the 350th anniversary of the Great Fire, the Worshipful Company of Glass Sellers of London, a City Livery Company, has chosen 10 London secondary schools each to design a piece of glass artwork on the theme of the Great Fire, in collaboration with a leading contemporary glass artist. The resulting works from these collaborations will be on display at an exhibition, London Ablaze, at the church of St Stephen Walbrook, next to the Mansion House, at the heart of the City on Thursday 1st and Friday 2nd September (10am-4pm). The Friday is the 350th anniversary of the day the Great Fire started. Early in 2016 the Glass Sellers’ Company selected ten artists and ten schools, allocating an artist to each school. Up to 15 students in Year 8 or 9 (age range 13-15) were chosen by each school to work with the artist. The process started by pupils learning about what happened during the Great Fire. They then worked with the artist for at least a day to design a work that interpreted the pupils’ vision of the Great Fire. The artists have then produced the works in their studios. The ten works are also being judged, with the winning school, teacher, pupils and artist receiving a glass work made especially by Andreya Bennett. The winner will be announced at a reception in the Church on the evening of Thursday 1st September. Resurgence, resilience and the evolution of the City of London are some of the key themes explored in LONDON’S BURNING, a series of spectacular events produced by Artichoke to mark the 350th anniversary of the Great Fireof London and its aftermath, taking place 30th August-4th September 2016. LONDON’S BURNING will bring the Square Mile and beyond to life with a series of art installations, performances and talks that will give a unique Artichoke perspective on a significant moment in the country’s history. The programme takes in landmark locations across the city and includes; an underwater performance-artwork at Broadgate; a domino-like sculpture that snakes through the city’s streets tracing the multiple paths of the fire; and a spectacular riverside finale. Audiences are invited to rediscover the City of London and adjacent areas, its past and its future. LONDON’S BURNING offers an opportunity to contemplate the lasting impact the Fire had on the architecture, outlook and infrastructure of the City including some of its most iconic buildings and landmarks. The City of London looks very different now from even, say, 40 years ago. The scale of new building calls to mind another time of rapid rebuilding: after the Great Fire of 1666, when a 'more beautiful City' of brick and stone replaced the medieval wooden houses that were destroyed. 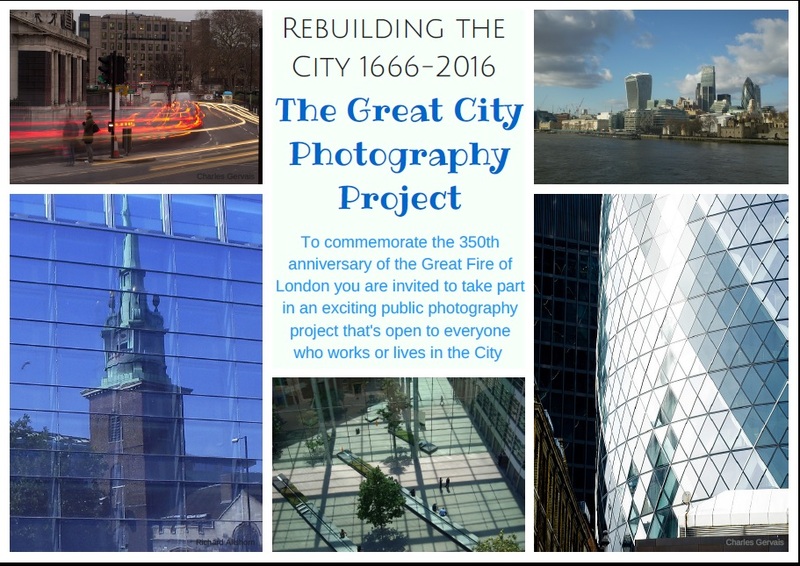 To commemorate the 350th anniversary of the Great Fire in September 2016, those who live or work in the 'square mile' of the City were invited to contribute to a public photography project, art installation and exhibition. The Great City Photography Project will be on display at All Hallows by the Tower from 1 September-30 October, featuring a new installation by the artist Victoria Burgher, as well as a selection of the many wonderful photographs taken by members of the City of London community. Admission free, open daily during normal church opening hours. 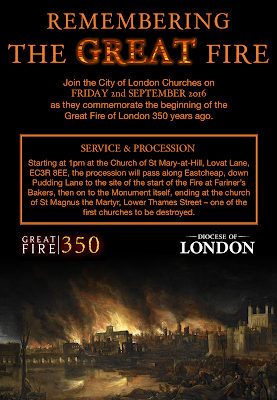 On Friday 2nd September 2016 from 1-2pm the Deanery of the City of London will be commemorating the start of the Great Fire of London in a special service. 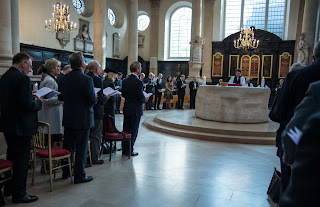 Starting at the church of St Mary-at-Hill on Lovat Lane, EC3R 8EE - in whose parish the fire started - a short service will remember those who lost their lives and the destruction of 89 churches. The congregation will walk up onto Eastcheap and down Pudding Lane to the site of Fariner's Bakery - the origin of the fire - for readings, prayers and a hymn. We will then move on to the Monument for another reading, prayers and hymn. Finally we will walk to the church of St Magnus the Martyr - one of the first to be destroyed - where there will be a short service giving thanks for the reconstruction of the City and its Churches. 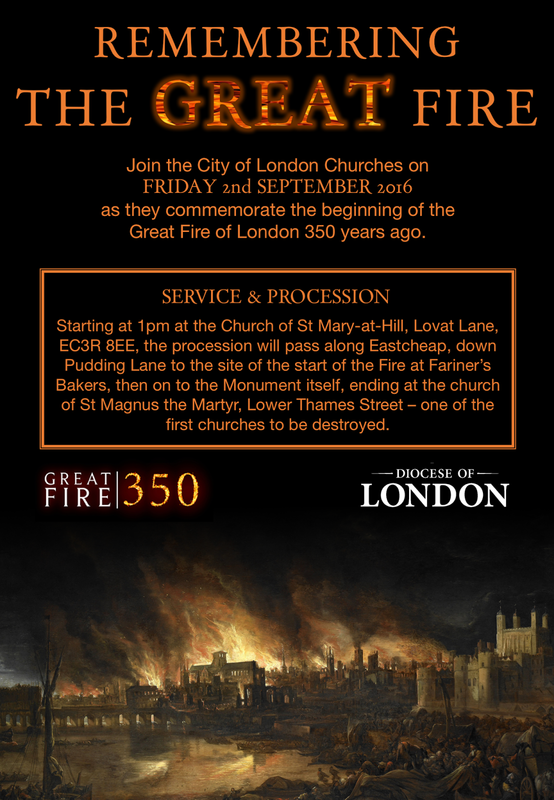 Do join in with this public act of witness and commemoration, which is being promoted as part of Visit London and the City of London Corporation's 'Great Fire 350' programme, more details of which can be found here. The Clash - London's Burning. Everyone will be salted with fire. Salt is good; but if salt has lost its saltiness, how can you season it? Have salt in yourselves, and be at peace with one another. Mark 9. 49 & 50. H. Richard Niebuhr proposed five different relationships that the Christian can have with our culture. These are Opposition; Agreement; Christ above culture; Tension; and Reformation. In reflecting on these options and thinking which comes closest to Jesus’ call for our lives to do the job of salt in our society, Steven H. VanderLeest, Jeffrey Nyhoff, and Nancy Zylstra apply these categories to something which is a standard part of our workplaces, the computer (Being Fluent and Faithful in a Digital World). The first two options Niebuhr gives us are the extremes. Opposition means that the Christian opposes all cultural artefacts as "worldly." For information technology, this would mean that the Christian would see the computer as just one more instance of depravity, one more example of how sin infects everything we do. Agreement takes the other extreme, where Christians find their religion to be fundamentally compatible with the culture around them. Here, the computer is simply an extension of God's good creation, put here for us to develop and use as we wish. The last three choices are somewhere between the extremes. The "Christ above culture" option was advocated by Thomas Aquinas. Aquinas would look at the computer and see it as a fine product of culture, but, as such, it could never approach the sublime beauty of Christ. The tension option, advocated by Martin Luther, places the Christian in a tension between Christ and culture. We are in the world but not of it and must be careful not to estrange ourselves from the world, but at the same time not to embrace it either. In short, we are citizens of two worlds that are often at odds with each other. Applied to information technology, the computer may be used, but with care not to indulge too deeply. The final option is for a transformational, or re-formational approach. The Christian must recognize three truths: first, that culture is a manifestation of God's good creation, an outgrowth of human creativity and community; second, that sin deeply infects every part of the creation, including human culture; and third, that we can redeem culture in the name of Christ. This redemption is a transformation of culture by seeking, enhancing, and celebrating the original good we find in cultural artefacts while identifying the effects of sin (and working to reduce those effects). The computer is, therefore, an extension of God's good creation and thus has wondrous potential. However, it also exhibits the deep effects of sin. Christians are thus called to transform information technology in the name of Christ. It is this transformational, or re-formational approach which seems to reflect most fully Christ’s teaching about salt. So let us reflect for a moment on the power of salt to preserve from rot, and to bring out the many flavours of food. As we do so, let us ask God to show us how our humanity can be made ‘salty,’ both in its role on the earth and in our workplaces (Humanifesto). Transforming God, may we bring out the many flavours of our culture and workplaces by seeking, enhancing, and celebrating the original good there, while preserving from rot by identifying the effects of sin and working to reduce those effects. Enable us to use every gift we have been given; our intelligence and artistry, our creativity and character, our strength and stamina, to work with God to unlock the full potential of this world. Show us how our humanity can be made ‘salty’ in our role on the earth and in our workplaces. Gifting God, let us all take time to look deep within ourselves and discover the gifts you have blessed us with. May we take the time to direct our lives in a way that best uses our own unique combination of gifts. May our education help us discover where our strengths and interests lie. May our faith guide us in realizing our gifts. May we always be open to the direction of the Spirit and never forget the love you have for each of us. May we use our gifts for the benefit of others and for the common good. Grant us a vision of your world as your love would have it: a world where the weak are protected, and none go hungry or poor; a world where the riches of creation are shared, and everyone can enjoy them; a world where different races and cultures live in harmony and mutual respect; a world where peace is built with justice, and justice is guided by love. Give us, through Jesus Christ, the inspiration and courage to build it. Being granted a vision of our world as God’s love would have it, unlocking the full potential of this world, using every gift we have been given, using our gifts for the common good. May all those blessings of God almighty, the Father, the Son, and the Holy Spirit, be among you and remain with you always. Amen. Mark Heard - Treasure Of The Broken Land. I had a great day at Greenbelt today seeing friends from my cell group and from current and former churches. I caught part of Nadia Bolz-Weber's talk on Accidental Saints (especially her modern Beatitudes), Harry Baker presents ... (with Caleb Femi and Vanessa Kisuule), and Drew Worthley. I also got to whole sets from Josie Long, the majestic Mike Peters, and the wonderful singers and dancers from Alrowwad Cultural Centre as part of Cafe Palestinia (which also featured Peter Banks, co-author of 'The Secret Chord', performing with Garth Hewitt). Click here and here for more information about the issues and campaigns featured in Cafe Palestrinia. I first saw The Alarm in 1983 at the Hammersmith Palais as support to U2 on the 'War' tour, so seeing Mike Peters at Greenbelt (reprising The Alarm's slightly later 1986 UCLA gig) was both a reminder of the Hammersmith Palais gig and also of how affirming and anthemic is the music they made. Michael Ramsey Prize winner John Swinton spoke on 'Gentleness, Care, Spirituality and Vocation'. He told a story about Jean Vanier calming another person with a look, a touch and shared movement. As with Kosuke Koyama's Three Mile an Hour God, gentleness involves slowing down. He highlighted the second creation account in Genesis as being a story about care for our environment and each other. Receiving care is therefore a key part of what it means to be human. In Western culture, our focus in terms of spirituality is often self-actualisation but spirituality is communal. Inclusion is belonging and people need to miss you when you are not there. We are called to knowing Jesus, rather than know about Jesus, and that is the work of the Spirit in us. Our identity is found in Christ. We are hidden in Christ and remembered by God. In answering the question, 'What does it mean to be a disciple or have a vocation while having dementia? ', he told the story of Beatrice and the chaplain at her nursing home. Beatrice began to pray herself when the chaplain started to prayed for her. Beatrice then prayed for 15 minutes and her chaplain commented that she hadn't thought of Beatrice as a prayer warrior until that point. Sometimes our vocation is to do absolutely nothing but to offer communion - silence, attention, space etc - in order to encounter the spirit (nephesh) of the person, spirit to spirit. We need to open our eyes and mind, so we can see the situation differently, remembering that when Jesus sits with the marginalised, the margins shift. The Alarm - Walk Forever By My Side. Deacon Blue - The Believers. Today I went to Turner Contemporary in Margate to visit 'Seeing Round Corners: The Art of the Circle,' which explores the significance and symbolism of the circle and sphere in art and culture; architecture and engineering; astronomy and geometry; optics and perception; religion, spirituality and everyday life. Featuring more than 100 works – from 3000BC to the present day, the exhibition brings together artworks and artefacts that reflect a vast range of themes and ideas from roundness, rotation and visual perception to wonderment and cycles of time. The exhibition encompasses sculpture, film, painting, design, installation, performance and photography, with works by leading historical and contemporary artists including Leonardo da Vinci, Paul Nash, Barbara Hepworth, JMW Turner, Theaster Gates, Rebecca Horn, David Shrigley and Bridget Riley. Also at the Gallery are two major works by Yinka Shonibare MBE. Co-commissioned by Turner Contemporary and 14-18 NOW, Shonibare’s newest sculptural work 'End of Empire' explores how alliances forged in the First World War changed British society forever, and continue to affect us today. The new work features two figures dressed in the artist’s signature bright and patterned fabrics; their globe-heads highlighting the countries involved in the First World War. Seated on a Victorian see-saw, the entire work slowly pivots in the gallery space, offering a metaphor for dialogue, balance and conflict, while symbolising the possibility of compromise and resolution between two opposing forces. Presented alongside this new commission is Shonibare’s 'The British Library,' a colourful work, celebrating and questioning how immigration has contributed to the British culture that we live in today. Shelves of books covered in colourful wax fabric fill the Sunley Gallery, their spines bearing the names of first and second generation immigrants who have enriched British society. From T.S. Eliot and Hans Holbein to Zaha Hadid, The British Library reminds us that the displacement of communities by global war has consequences that inform our lives and attitudes today. Morrissey - Everyday is like Sunday. 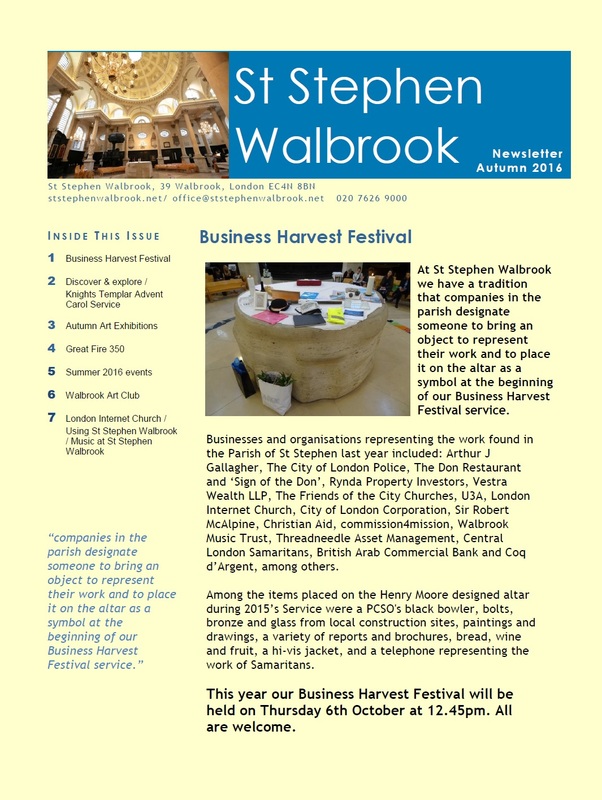 The latest newsletter for St Stephen Walbrook can be viewed by clicking here. Hunter Singers - Locus Iste. Last year I saw Elpida Hadzi-Vasileva's 'Fragility' for Fabrica Gallery, Brighton. This installation forms the breathtaking entrance to her first major UK show at the Djanogly Gallery Nottingham. The exhibition entitled Making Beauty also includes the first UK showing of ‘Haruspex’ commissioned by the Vatican for the Venice Biennale, 2015. Elpida Hadzi-Vasileva is a site-specific installation artist working across the varied media of sculpture, installation, video and sound, photography and architectural interventions. Her materials range from the unusual to the ordinary, from the ephemeral to the precious; they include organic materials, foodstuffs and precious metals. Making Beauty is a new body of work made in collaboration with academics in medical departments of the universities of Nottingham, East Anglia and London, introducing highly regarded medical research activity to a wider public. Her work has been informed by their work on nutrition, healthy diet, our gut, and the development of highly specialised - invisible to the eye - manufactured parts providing solutions to medical problems. The sculptures reveal the fragility of our bodies and reflect the delicate nature of these medical components. The work has been supported by a research grant from the Wellcome Trust. For summer 2016, Fabrica is presenting a work by internationally-renowned Italian artist Michelangelo Pistoletto, a leading light of the Arte Povera movement of the 1960s. The work features a labyrinth constructed from cardboard which leads to a mirror with a symbol laid out in coins. The symbol, the infinity sign altered to add a central loop represents The Third Paradise. According to Pistoletto’s manifesto written in 2003, The Third Paradise seeks to reconcile the conflict between the first and second paradises of nature and human artifice. This conflict is leading toward global destruction but the third paradise offers a solution, a resolution that will save the planet and humanity. The Third Paradise is the new myth that leads everyone to take personal responsibility at this momentous juncture. The idea of the Third Paradise is to lead artifice—that is, science, technology, art, culture and political life—back to the Earth, while engaging in the reestablishment of common principles and ethical behaviour. Moby - Everything That Rises / The Last Day (Poordream Remix). Ralph Vaughan Williams - Te Deum in C.
Great to see that The Hepworth Wakefield is holding a one-day conference, accompanying the exhibition Stanley Spencer: Of Angels and Dirt, that draws on recent research to demonstrate that many influential British modernists, working in a variety of mediums and styles, were motivated by spiritual ideals. Scholarship on British Modernism has traditionally portrayed artists like Spencer and Eric Gill as religious eccentrics; stalwarts clinging to the fading spirituality of a pre-modern era. ‘Modern Gods: Religion and British Modernism’ will investigate the religious beliefs of a variety of British artists and critics who were active during Spencer’s lifetime in relation to their work. 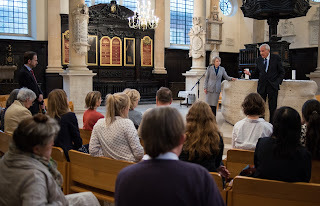 Clive Bell described art as a point of access to ‘the God in everything’, while Barbara Hepworth, Ben Nicholson and Winifred Nicholson were profoundly influenced by Christian Science (a faith that was of great importance to Spencer’s wife, Hilda Carline). Paul and Margaret Nash also practiced Christian Science, and Paul shared a Christian Science practitioner with Hepworth and Nicholson. Perhaps the greatest champion of British modern art, Herbert Read, reflected at the end of his career: ‘All my life I have found more sustenance in the work of those who bear witness to the reality of a living God than in the work of those who deny God’. Increasingly we are beginning to discover that, in many ways, British Modernism represents the natural outgrowth of Victorian spiritual idealism, rather than a radical reaction against it. This one-day conference, at which Dr Sarah Turner (Deputy Director for Research at the Paul Mellon Centre) and Dr Sam Rose (Lecturer at the University of St Andrews) will give the keynote addresses, aims to complicate oppositions between ‘modern’ and ‘non- modern’ art by examining the common threads of religious belief that ran throughout twentieth century aesthetic discourse. Last year I reviewed still small voice: British biblical art in a secular age at The Wilson in Cheltenham which provided an exclusive opportunity to see major works by many of those influential 20th century British artists who will be discussed at this conference, including Stanley Spencer, Eric Gill, Jacob Epstein, Barbara Hepworth, Edward Burra and Graham Sutherland. That exhibition was based on the Ahmanson collection "which begins with the Nazarene and Pre-Raphaelite styles of William Dobson and William Bell Scott, and continues, with Eric Gill as the bridge between Modernism and the earlier Arts and Crafts movement, through the inter-war period of the 1920s and 1930s, the Second World War, the post-war era, and the later 20th century, into the early 21st century. Its closest equivalent in the UK is the Methodist Art Collection, which, while broader in the range of artists collected, has less depth, particularly in the focus that the Ahmanson Collection has on the middle years of the 20th century, with its renewed interest in religious art." I suggested then that "if the Ahmanson and Methodist collections were exhibited together with a judicious choice of contemporary work, this would offer a relatively comprehensive review of modern British religious art." My Airbrushed from Art History and Sabbatical Art Pilgrimage posts also document much that this conference will discuss as it explores the common threads of religious belief that ran throughout twentieth century aesthetic discourse. Firstsite is currently presenting the largest Martin Parr exhibition in the UK since 2002 coming direct from The Hepworth Wakefield and tailored especially for Firstsite with additional content including Martin Parr’s own extraordinary personal collection of postcards. Martin Parr: Work and Leisure comprises more than 300 photographs that span the past 40 years, presenting a chronological overview of Parr’s most celebrated works. From his early Yorkshire-based black and white photographs of rural communities through to his more recent vivid explorations into consumerism, this exhibition includes rarely seen images from his series The Non-Conformists taken at the beginning of his career reflecting his experiences of living in Yorkshire, and The Last Resort, one of the most significant bodies of British photography, documenting leisure time in the seaside town of New Brighton, as well as a universal shift from monochrome to colour photography. In addition to this Hepworth Wakefield touring exhibition, Parr has also, in 2016, exhibited at the Guildhall Art Gallery and curated an exhibition at the Barbican. 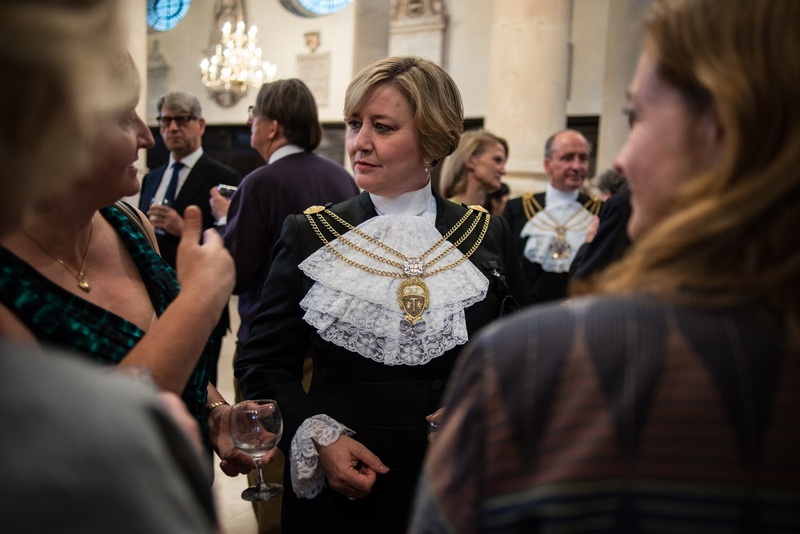 Unseen City: Photos by Martin Parr at the Guildhall Art Gallery celebrated Parr's tenure as the City of London’s photographer-in-residence, a position he took up in 2013. He has documented life in the City ever since – from private ceremonies, processions and banquets to high-profile public occasions. Granted unprecedented access to these events, he has been able to capture moments that would usually go 'unseen'; on display in the exhibition were behind-the-scenes shots of unguarded moments featuring Lord Mayors, dignitaries and even the Queen. His photographs provided a unique visual account of contemporary London. For Strange and Familiar at the Barbican, Parr brought together over 250 compelling photographs and previously unseen bodies of work, in order to present a vibrant portrait of modern Britain. From social documentary and portraiture to street and architectural photography, the exhibition celebrated the work of leading photographers, including Henri Cartier-Bresson, Rineke Dijkstra, Robert Frank and Garry Winogrand, and considered how international photographers from the 1930s onwards captured the social, cultural and political identity of the UK. Martin Parr has been described as 'arguably Britain’s greatest living photographer.' These exhibitions make that argument. Duke Special - Step To The Magical. Elytis was never to forget these experiences [during the Second World War]. His quest for Greece would continue but this new perspective would now be at its center. For a number of years after the war he produced little poetry, seemingly unable to find a way to express these new. more complex positions to his satisfaction. When he did find it, he produced his greatest work and one of the major works of this century: Axion Esti. The title literally means "Worthy It Is" but as the phrase forms a major part of the divine liturgy of the Greek Orthodox Church a literal translation is of little use. ‘In Mythistorema the poet shows his awareness that history, which seems to be characterized by injustice, is apparently at odds with nature, but that a reconciliation between the two at a deeper level is possible. Sherrard writes of Seferis’s umbilical attachment to the earth, and one of the things that impressedhim about Seferis’s poetry — and about Greek culture in general — was the bond between human beings and the natural world that, he believed, had been fatally severed in the West. Thus Seferis’s poetry combines the use of a living myth with abundant references to nature. But most of all it is a return to poetry that exceeds the existential question itself, going beyond the issue of faith. Niki is a UK fine art photographer specialising in black & white images of London. She wants to find out what’s going on with religion in The City of London? How do these historical beauties survive today? Are they still a spiritual force? How do they work as non-parish churches without resident congregations? And how do they relate to the financially-obsessed community surrounding them? What exactly is the contemporary clergy up to? Niki says, "Already, in my new ‘Religion in The City’ photo-project, I’ve come across a diversity I never expected — pop-up art exhibitions, huge wet fish displays for Harvest Festival, a Chinese choir rehearsing, high-calibre debate about policing in Britain today, jazz bands leading congregations into hidden gardens to eat jerk chicken … all I can say is that modern-day ministering appears to be both thriving and full of surprises. Charles Villiers Stanford - Te Deum in C.
‘For two years, Merton advised Cardenal on matters of the spirit, as well as matters of poetry and politics. In his recollections of Merton, Cardenal often expressed surprise at how wide-ranging and often secular their conversations were. “At first I was disconcerted by the way in which he imparted spiritual direction,” Cardenal wrote. “I had the incredible privilege of receiving my instruction from the grand master of mysticism who for so many years I had admired. And when [we began speaking], he began to ask me of Nicaragua, of Somoza, Nicaraguan poets, other Latin American poets, other dictators…” Cardenal at first expressed great frustration at having wasted so much time for spiritual guidance on secular matters. ‘Already forty years have passed, if memory is "not betraying me," since the poetical oeuvre of Thomas Merton started the process of "penetration" in Latin American literature which the monk of Gethsemani in Kentucky knew, better than all others of his colleagues from the United States. I still remember the decade of the 1950s when the Brazilian poet and translator, Manuel Bandeira, and the essayist and Catholic leader, Alceu Amoroso Lima, started writing essays, critiques and book reviews and translated several of his poems and short essays. At approximately the same time, in Nicaragua where Pablo Antonio Cuadra was one of his first "discoverers" and exegetes and "via" Pablo Antonio the poet, Cuadra and Ernesto Cardenal distinguished themselves as his first serious researchers and publishers. Nicaragua: Ernesto Cardenal, Pablo Antonio Cuadra, José Coronel Urtecho, Ernesto Mejía Sanchez and Alfonso Cortés. Chile: Nicanor Parra and Pablo Neruda. Peru: César Vallejo (“probably the greatest poet of the century in any language”). Argentina: Victoria Ocampo and Miguel Grinberg. Uruguay: Esther de Cáceres and Susana Soca (“very beautiful, little known, deeply spiritual poet”). Brazil: Alceu Amoroso Lima, Jorge de Lima, Carlos Drummond de Andrade and Fernando Pessoa. In a separate letter to the Origenes poet Cintio Vitier, Merton also listed the Cuban poets which he was reading: Cintio Vitier, Fina Garcia Marruz, Eliseo Diego, Octavio Smith and Roberto Friol. Baciu wrote: “During the last two decades, Merton was one of the constant and most accurate spokesmen for this realm [the realm of Latin American poetry] through a series of translations without equal in the literature of the United States, or, for that matter, in world literature.” Merton “knew how to love, understand, and interpret the Spanish and Spanish-American worlds.” Merton valued these poets because they were ‘alive,’ with ‘something honest to say’ and were ‘sincerely concerned with life and humanity’. Thomas Merton - First Lesson About Man. Barry Rose - Psalm 121. This year's Walbrook Art Club Advent programme will be themed on the faith inspired work by the Pre-Raphaelites. There will be lectures on three Wednesday afternoons starting from 13:00pm at St Stephen Walbrook as usual, from 30th November to 21st December 2016. Please note that there is no lecture on 14th December 2016. All above lectures are free but voluntary donations directly to St Stephens welcomed. Please RSVP directly to: darshan.dfge@outlook.com. Wednesday 14th September, 2016 - Meet 12 to 12.30pm for 13.00 start. Saturday 17th September 2016 - Meet at 14.00 for 14.30 start at Red House. Wednesday 21st September 2016 at Red House - Meet 12 to 12.30pm for 13.00 start. Above tours to last approximately 2 hours. Property closes 5pm. Guided tour of house and garden by Dharshan Thenuwara who is a NT guide at Red House. There is a café and lavatories on site. Please RSVP directly to darshan.dfge@outlook.com. As part of celebrations to mark the 350th anniversary of the Great Fire, the Worshipful Company of Glass Sellers has chosen 10 London secondary schools each to design a piece of glass artwork on the theme of the Great Fire, in collaboration with a leading contemporary glass artist. The ten works are also being judged and the winner will be announced at a reception in the Church on the evening of Thursday 1st September. 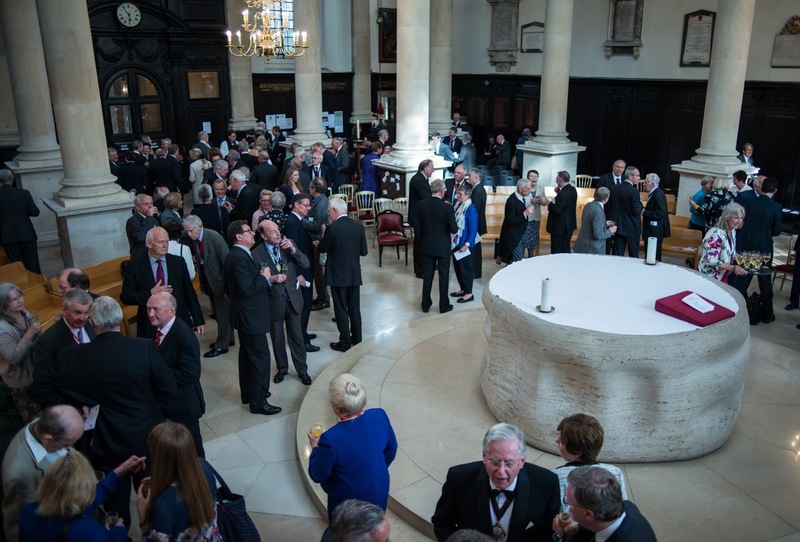 An exhibition reception (6.30pm) and commission4mission’s AGM (5.30pm) will be held on Tuesday 6 September. This is commission4mission’s fourth group exhibition in the setting of St Stephen Walbrook. Brazilian artist Kim Poor will exhibit a series of paintings in various mediums, including her unique technique of glass fused on steel plate. She is based in London and Rio de Janeiro and her work has been exhibited worldwide. The theme of the exhibition, which is curated by Edward Lucie-Smith, is the universal appeal of angels and their presence and significance in our lives. 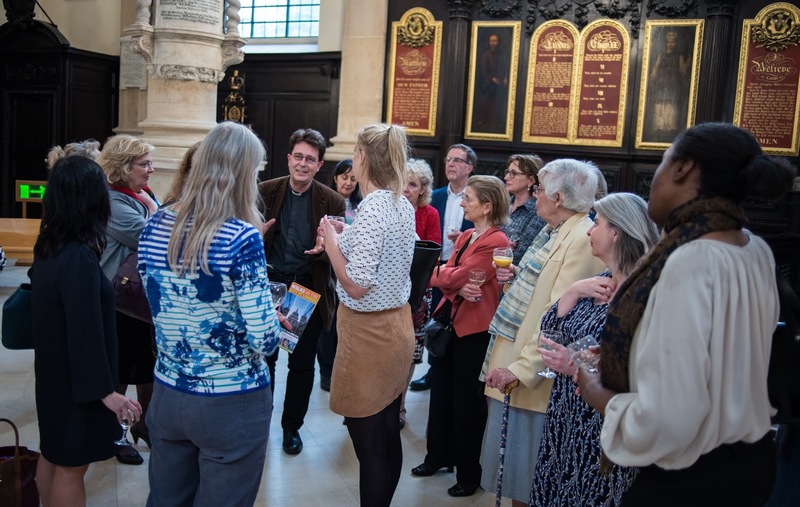 The second group show by National Society artists to be held at St Stephen Walbrook. 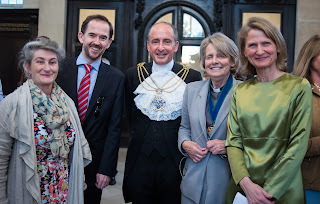 The National Society was formed in 1930 to meet a growing desire among artists of every creed and outlook for an annual exhibition in London, which would embrace all aspects of art under one roof, without prejudice or favour to anyone. Christina Rossetti - None Other Name. Against whom should we compare ourselves? This is generally what we do when we make comparisons; we compare ourselves with others and so compare ourselves with those we think are worse than or similar to ourselves. We’ve all heard others and, maybe, ourselves saying ‘I’m alright, Jack!’ or ‘I’m as good as the next person, if not better!’ On the basis of these comparisons we think we are ok; at least no better or worse than others, at best, better than many others around us. On the basis of these comparisons we are comfortable with who we are and see no need to change. The Pharisee in this story lived in a simplistic world of legalism where he could look down on those like the publican because he kept certain rules and fulfilled certain practices. Therefore he could say, I am not like other people because I fast twice a week and give a tenth of all my income. For him, there was no wrestling with difficulty and no struggling with conscience but the world he inhabited was, ultimately, a harsh world without understanding, without compassion, without forgiveness. Our common response as human beings to our own fallibility and failure is that, instead of acknowledging our own shortcoming, we attempt to distract attention away from our selves by identifying a scapegoat and angrily pointing out that person’s many failings. 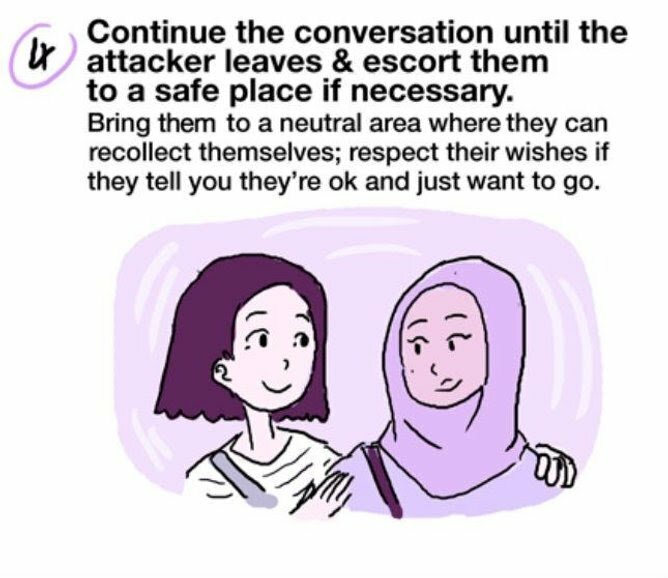 We are often very successful in covering up our own shortcomings when we adopt this tactic but, of course, the reality is that we are being hypocritical. 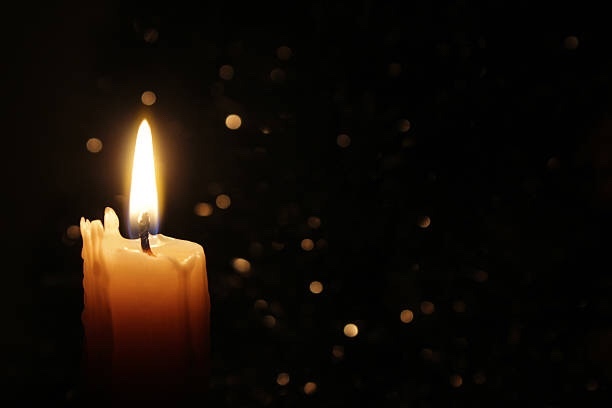 In the light of the way that Jesus lived his life, we see our lack of love, joy, peace, patience, kindness, goodness, faithfulness, humility, and self-control. If we say that we have no sin, we deceive ourselves, remain in darkness, and there is no truth in us. But when we live in the light of Christ, seeing ourselves as we really are, then we become honest with ourselves and with God. By coming into that honesty we confess our sins and are purified; as we say in this service, we make our humble confession to Almighty God truly and earnestly repenting of our sins. That honesty undermines the simplistic legalism of the Pharisee’s world by revealing the hypocrisy at its heart. The reality is that each one of us has broken the Law and each one of us is a sinner. If that is so, on what basis can one sinner presume to judge or condemn another? To do so is a gross act of hypocrisy which multiplies one sin upon another. The publican, by contrast, lives in a world of without condemnation because he lives in a world where second chances and fresh starts are available. On Ash Wednesday the sign of the cross is marked in ash on our foreheads and these words are said: "Remember that you are dust, and to dust you shall return. Turn away from sin and be faithful to the Gospel." In that service, we acknowledge both our sinfulness and our mortality recognising the link between the two – that the wages of sin are death. The ash mark on our forehead is a public acknowledgement of our sinfulness but, because it is formed as a cross, it is also a sign of the forgiveness we have received. 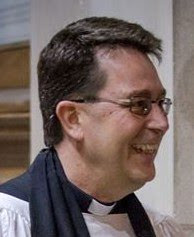 We are saying that we no longer live in the legalistic, unforgiving world of the Pharisaical Law where we compare ourselves with others in order that we come out best; instead, like the publican, we are those who compare themselves against God only to then realise that we have been accepted and welcomed into the world of love by Jesus himself. Against whom should we compare ourselves? Our answer makes all the difference in the world. Jesus said one of the two men went down to his house justified; and it certainly wasn’t the Pharisee! Kindred Spirit - Ask Me No Questions. The prestigious literary and arts review Orígenes was founded by José Lezama Lima and José Rodríguez Feo in 1944. "More than forty issues of the journal were published by the time of its demise in 1956. Orígenes was one of the most prestigious journal of its day in Latin America, and certainly the most important in the Hispanic Caribbean; in the words of Frank McQuade, "it provided a focal point for the most promising poets and critics in Cuba in the 1940s and 1950s." The journal published poetry, short stories, and critical essays on literature, art, music, and philosophy. Orígenes also featured artwork by internationally recognized Cuban artists such as Mariano Rodríguez, Wilfredo Lam, and René Portocarrero. Among the foreign writers who contributed to the magazine were several would-be Nobel Laureates including Juan Ramón Jiménez, Albert Camus, and Vicente Aleixandre. In addition, excellent translations of works by authors such as Wallace Stevens, Anäis Nin, and T.S. Eliot were done by the journal's co-founder José Rodríguez Feo, and vastly increased the magazine's international importance." Most of the members of the group – with the notable exception of Virgilio Píñera – were Catholic and were connected by a unifying aesthetic and religious visions. "The Orígenes group of poets and artists ... favored the poetry of Mallarmé instead of Péguy, and was contemptuous of the nation’s social and political struggles ... The art critic and diplomat Guy Pérez Cisneros (1915–1953) was an exception; influenced by Jacques Maritain, he played a significant role in the authorship of the Charter of Human Rights at the United Nations in 1946, and was engaged in conversations for the creation of a Christian Democrat Party at the time of his death. Other exceptions included the poets Israel Rodríguez (1925–2008) and Jorge Valls (1933–2015), who were active in the struggle against Batista, embraced the revolution during its first two years, and eventually found themselves in exile or prison ... Catholic intellectuals like Cintio Vitier (1921–2001) and other members of the Orígenes group ... shifted from their apolitical positions of the 1950s to liberation theology “conversions” that embraced the revolution as “the gospel on earth.”"
Poets and novelists: José Lezama Lima (the group's leader and co-founder), Virgilio Píñera, Eliseo Diego, Cintio Vitier, Fina García Marruz, Gastón Baquero, Father Angel Gaztelu, Octavio Smith, Agustin Pi, Justo Rodríguez Santos, and Lorenzo Garcia Vega. Artists: René Portocarrero, Mariano Rodríguez, Amelia Peláez, Alfredo Lozano, and art critic Guy Pérez Cisneros. Musicians: Julían Orbón and Jose Ardévol. Essayist, translator, co-founder and principal source of funding, José Rodríguez Feo. Several of the literary figures – especially Lezama Lima and Virgilio Píñera – are considered to be among the most important and influential authors of twentieth-century Cuba and major figures in modern Latin American letters." Roberto Méndez Martínez writes that Fr Angel Gaztelu "was not a run-of-the-mill priest: his extensive culture distanced him from all fundamentalist attitudes and though he is remembered above all for his support of the arts and for his writing, in each one of the parish churches where he served he left a pleasant memory among the humblest people." In the old San Carlos y San Ambrosio Seminary he met with an exceptional young man, José Lezama Lima. He "wrote his first notable essay, exegesis further more of the first poetic emergence of Lezama: “Muerte de Narciso, rauda cetrería de metáforas,” while the ineffable Juan Ramón collected 11 of his texts for his peculiar anthology La poesía cubana en 1936." "Gaztelu was a pioneer in modern art applied to liturgy. When the temple in Bauta was being rebuilt, he asked sculptor Alfredo Lozano to design the presbytery. Four large paintings on wood were built into the walls on both sides of the nave, two of them were by Portocarrero: “Crucifixión” and “Entierro de Cristo,” while the rest, “El Descendimiento” and “La Resurrección” were by Mariano, who also left two stained-glass windows: one dedicated to Our Lady of Fatima and another to Saint Joseph. Today, in the chapel of Nuestra Señora de la Caridad de Playa Baracoa, unfortunately in a bad state, a mural by Portocarrero and an imposing crucifix by Lozano, still remind us of the splendour of that humble temple whose plans were conceived by architect Eugenio Batista. He was appointed parish priest of Havana’s Espíritu Santo church on March 25, 1957 and the following year the priest undertook the restoration works of the temple: he had the plastering eliminated to leave the building in its original stone facade, thanks to which the presbytery’s dome appeared in all its beauty. The former baptism fountain, where illustrious patrician figures of Cuban culture were baptised, like poet Manuel de Zequeira, statesman Francisco de Arango y Parreño and pedagogue José de la Luz, was restored with the collaboration of Lozano, who created for this site a bronze bas-relief, “El bautismo de Cristo,” before undertaking in 1961, at one side of the presbytery, the building of the imposing tomb that would contain the remains of Bishop Gerónimo Valdés. The indefatigable priest had time to collaborate in the magazines Espuela de Plata, Nadie Parecía – the only Cuban magazine at the time in sponsoring the new aesthetics with an explicit Catholic orientation, which defined itself as “Cuaderno de lo bello con Dios” – and Orígenes. Also a friend of many of the most notable visual artists of his time, he had one of the most important Cuban art collections of his time." Those who heard him speak of creation and poetry, of verse and crafts, of names and justness, of friends and dignitaries, not only listened to him but also saw a tradition that went forward and demanded, a very decisive form of essence and presence. Of Christian, strong, irreplaceable essence. Of a classic presence in the serene Sunday of all the possibilities of man. (2014)"
Fina García Marruz is a poet, essayist and literary critic whose poetry pursued "the eternal in the fleeting temporal things." "Her poetry has received high honors in the Spanish-speaking world, including Cuba’s National Literature Prize, Chile’s Pablo Neruda Prize, and Spain’s Reina Sofía Prize for Spanish American poetry, among many others." She stands out in the rich heritage of Cuban literature for the linguistic vitality of her verses, her vivid images, her evocative use of language and for embodying, in her own way, the life history, customs, contradictions and all the glorious colour of the island.